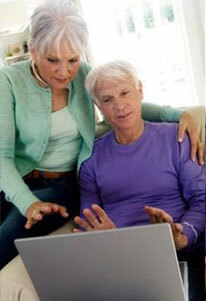 When applying for term life insurance you can expect to have to undergo a medical examination. While this is not true of all policies, as certain plans with low face values don’t require it, medical exams are a standard feature in term life insurance underwriting. In order to appeal to a greater market, some companies issue no-exam term life insurance (often referred to as guaranteed issue life insurance) where enrollees simply have to answer a series of questions about the state of their health and their lifestyle in order to apply. 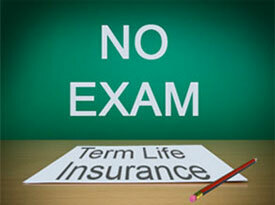 What are the benefits of No-exam Term Life insurance? Many people don’t like the thought of undergoing any kind of medical procedure, particularly one that could have a negative effect on one’s finances. With no exam term life insurance enrollees can avoid the hassle of arranging appointments, providing samples, physical examinations, etc. Additionally to this, there is no income tax levied on benefits and there is a 30 day period during which you can cancel your no-exam term life insurance. So how do we go about getting no exam term life insurance quotes? This three-step approach to term life enrollment can be completed from your home or workplace in a short period of time. Having answered a number of health related questions, you find out whether you have qualified immediately and can print your policy out then and there. Fill our form to receive instant quotes from our industry leading quote engine. Once you have decided upon your preferred policy and quote, answer the questionnaire to see if you qualify for no-exam term life insurance. Once the policy has been approved, successfully qualified applicants can make payments online by credit/debit card or from their checking or savings account. Once stages 1 and 2 are complete and the plan is approved and payment has gone through, you can print your policy for future reference. No exam life insurance has three categories for which you can source no exam term life insurance quotes. These are guaranteed issue no exam insurance, simplified issue term life insurance and graded benefit term life insurance. 1) Guaranteed Issue no exam term life insurance is the basic no exam policy, with no medical examination necessary, and no information needs to be submitted either. These policies are more expensive for this reason, as underwriters need to take higher risks when issuing policies with no information as to the enrollee’s health and they will compensate accordingly. 2) Simplified Issue no exam term life insurance is the same as Guaranteed Issue in that it requires no physical examination, but enrollees will need to submit medical information to support their application. 3) Graded Benefit no exam term life insurance is similar to Guaranteed Issue in that it requires no examination or medical information to be submitted, but it does come with a much more complex application process. It is common for older people to apply for these types of no exam term life insurance quote as it is suited to those with health problems in older age and who have trouble getting insured on other types of term life policy. The higher value of no exam term life insurance quotes supports the idea that they are intended for people who are uninsurable due to a pre-existing condition or other factor that is detrimental to an application. There are also those who would simply rather not subject themselves to an invasive medical examination or who’d rather not divulge certain medical information about themselves. Those with pre-existing conditions may find that no-exam term life insurance quotes are the only option available to them, but it’s always worth discussing your requirements with a licensed insurance professional, who will be able to advise you on ways in which you can save money and receive the coverage best suited to your needs.